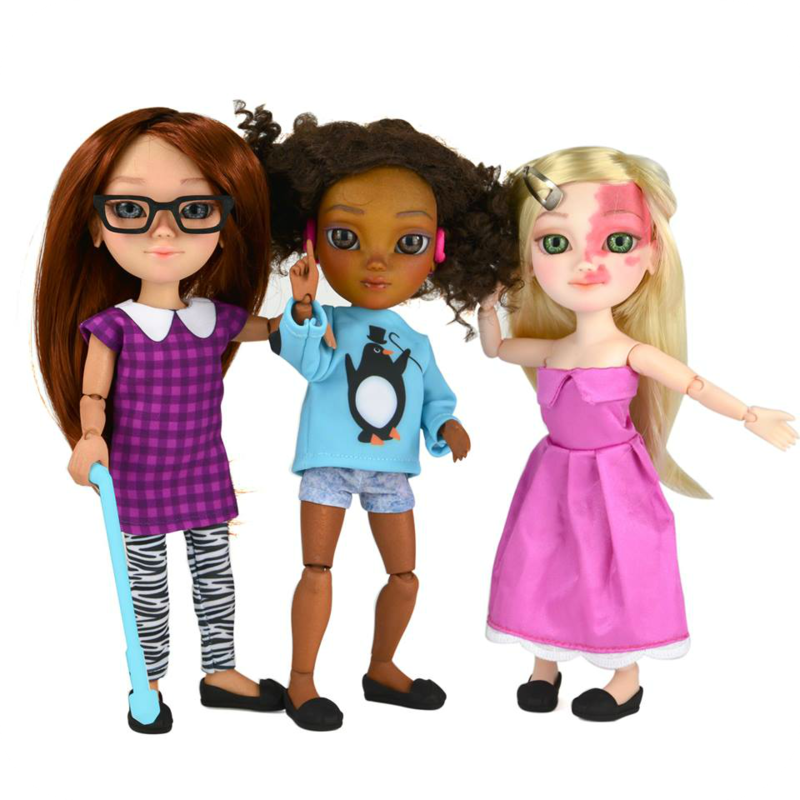 I just heard that Makie - the uber cool 'design your own doll' company - has become the first company to sign up to the #ToyLikeMe campaign. The campaign wants to see a wider range of affordable dolls representing people with disabilities. I've blogged before about my quest for dolly diversity, so the news is very relevant to my interests! Makie dolls with impaired vision, hearing, and a 'port-wine stain' which can be indicative of underlying conditions like Klippel-Trenauny Syndrome or Sturge-Weber Syndrome. These kind of dolls are so important for two reasons - firstly they give children the chance to have a 'toy like me', and secondly they help to normalise the represented disability for other children. We should celebrate diversity, not by simply targeting, say, a doll in a wheelchair to wheelchair users, but by stocking the doll right alongside all the others. 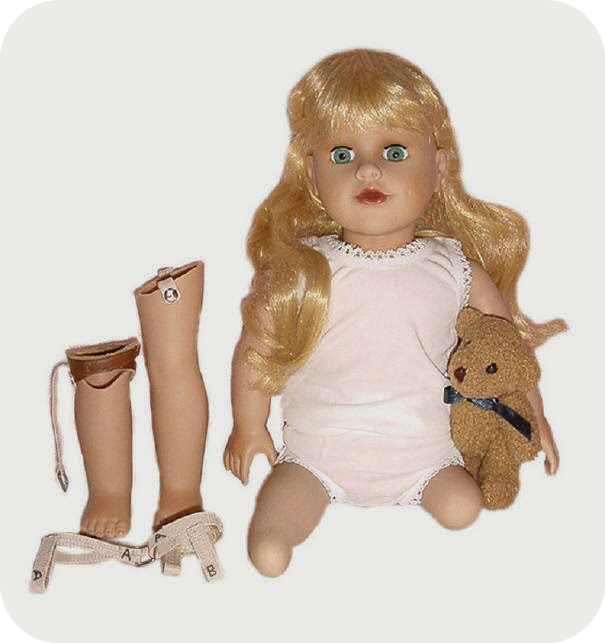 Sew Able Dolls produce adorable dolls with prosthetic limbs, something which is otherwise nigh on impossible to find in the doll world. I've been compiling all the information I can get on various types of diversity, from pregnant dolls to plus sized dolls. Relating to this campaign I have posts on doll sized wheelchairs and mobility aids, dolls with Downs Syndrome, and dolls with cleft lips and / or palates. I plan to write up everything I've found on dolls with cancer and dolls with breathing aids and other specialised equipment over the coming weeks.